I was in The Dollar Tree a few days ago & came across this gelatin mold. Immediately my head started thinking about Halloween parties, a fun after dinner dessert for the kids, etc. 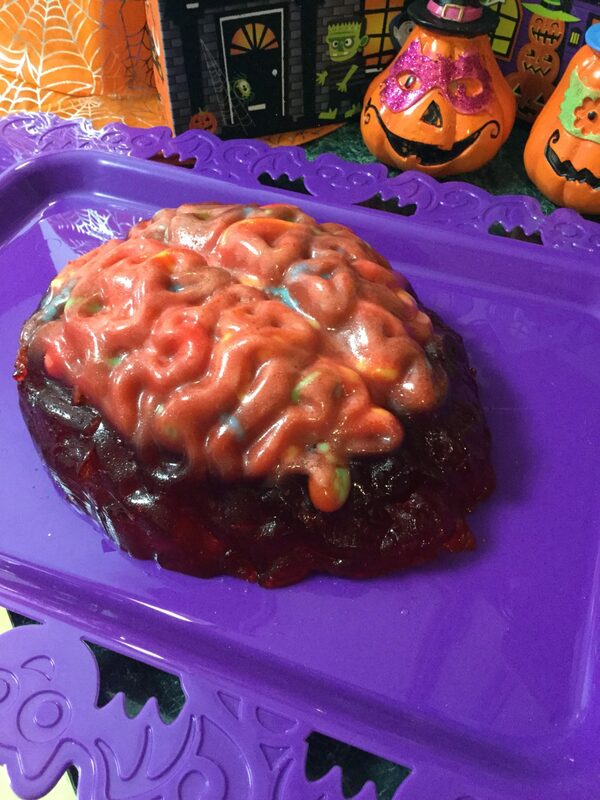 This is jello mold “brain” is definitely Halloween worthy. Make jello according to the box instructions. 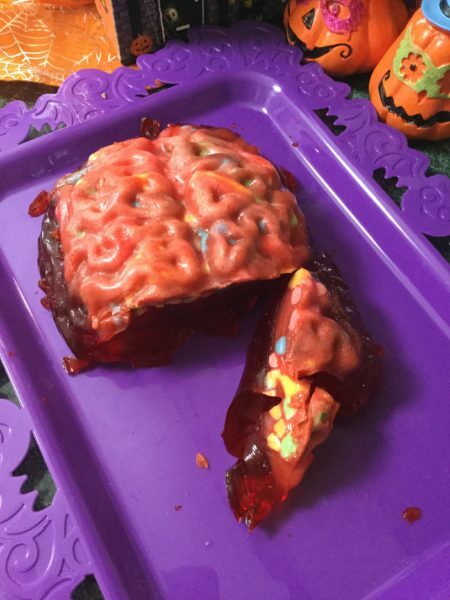 Place gummy worms in the bottom of the mold. Fill mold with the jello. Put in fridge to set over night. To un-mold run a knife abound the perimeter. Using your fingers to pull the set jello from the side to start the mold to come out.